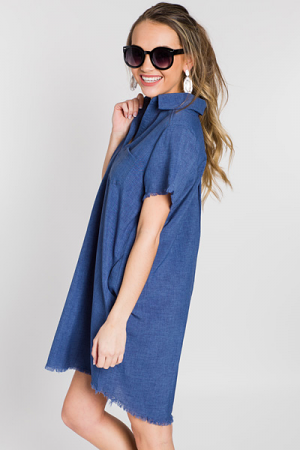 A simple denim dress is a piece that every girl should have in her wardrobe! This dress is so versatile, and it's shift style gives it a relaxed fit. 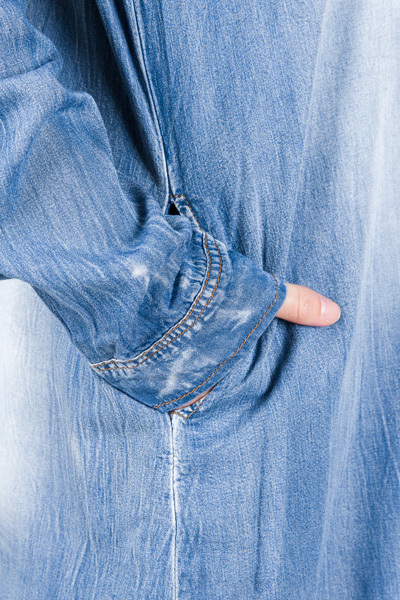 Buttons are full functioning, and tabbed sleeves can be worn up or down. Oh, and it has pockets!! Fabric is made from a soft and structured cotton blend.